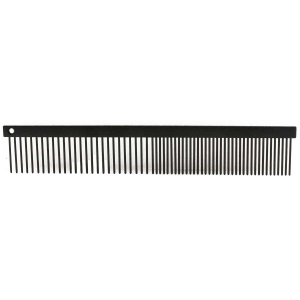 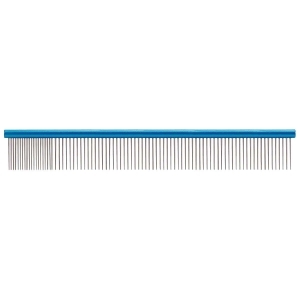 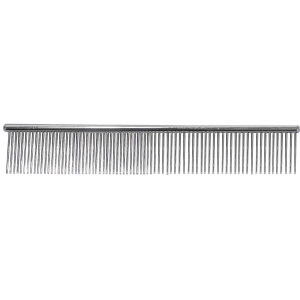 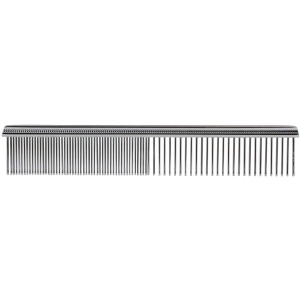 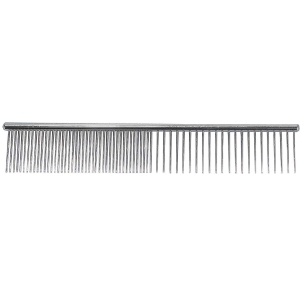 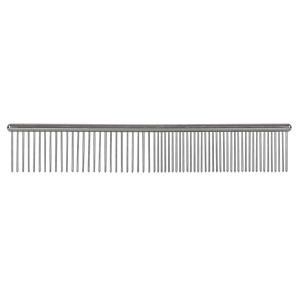 These stainless steel combs have rounded backs and smooth rounded pins. 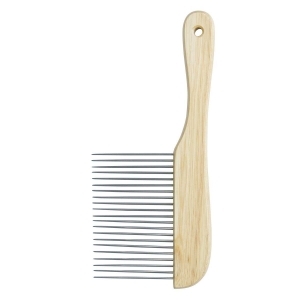 Comfortable and glide easily through the coat. 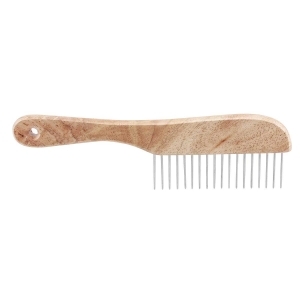 This poodle comb features a comfortable wooden handle and extra long 2.62" stainless steel teeth.